In anemia, body tissues are deprived of oxygen due to a reduction in the number of circulating red blood cells. There are more than 400 forms of anemia. Symptoms include weakness, fatigue, and a general feeling of malaise (mild anemia); burning tongue (vitamin B12 anemia); weakness, tiredness, shortness of breath, and faintness or dizziness (severe anemia); pasty or yellowish skin and bluish lips, pale gums, nail beds, eyelid linings, or palm creases (strong signs of anemia); and movement or balance problems, slick tongue, confusion, depression, memory loss, and tingling in extremities (pernicious anemia). Other possible symptoms include headache, insomnia, decreased appetite, poor concentration, and irregular heartbeat. Iron overload can occur from taking iron supplements. Symptoms include vomiting, bloody diarrhea, fever, jaundice, lethargy, and seizures. 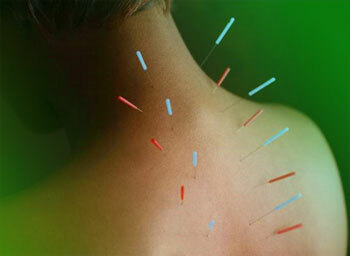 Anemia, or deficient blood, is treated with acupuncture and herbal therapies. Asian ginseng is used as a general tonic for fatigue. Dong quai (dang gui) has been used alone for thousands of years as a blood tonic. It may be combined with Chinese foxglove root or astragalus. Zhou and Zhou (1990) reported a study treating anemia using the principle of bu-shen yi-qi. In their study, 60 people with orthostatic dysregulation were randomly divided into a treatment group (received Chinese herbs under the principle of bu-shen yi-qi) and a control group (received oryzanol and vitamins B1 and B6). Herbs selected were rich in trace elements, including iron (enhances red blood cell action) and zinc. After 1 month, results showed that 16 members of the treatment group and 4 members of the control group had significantly improved. Of the total group, 43, or 71%, also clinically expressed mild anemia. Blood was drawn before and after treatment Blood values for red blood cells, hemoglobin, and hyper-chromia in 20 participants in the treatment group were significantly improved; 17 of the controls remained unchanged. Su, He, and Chen (1993) reported on a study of an herbal preparation, Man-Shen Ling, which consists of medicinal herbs such as astragalus and rehmannia. The combination was markedly effective for anemia and showed no adverse effects on liver, kidney, heart, or gastrointestinal tract functions. Zhang, Shi, and Fan (1995) reported the use of Chinese medicinal herbs and vitamin C for 43 children with aplastic anemia treated with fetal blood transfusion. The treatment group receiving Chinese medicinal herbs and blood transfusion improved by 88.9% (chronic aplastic anemia) and 62.5% (acute aplastic anemia), as compared to 46% for the blood transfusion-alone group. Caffeinated or decaffeinated tea, coffee, or cola should be avoided with meals because caffeine and the tannin in black tea inhibit iron absorption. Instead, citrus juices rich in vitamin C ore recommended to enhance iron absorption. The chronic use of alcoholic beverages should also be avoided. These can interfere with the ability to absorb folic acid. Iron-rich foods include parsley (also contains vitamin C, which promotes iron absorption), broccoli, tomatoes, dried beans, blackstrap molasses, dried fruits, almonds, liver, poultry, and red meat. Vitamin C and copper also promote iron absorption. To enhance red blood cell production, the following foods should be eaten fresh or minimally cooked to preserve their folic acid content: dark green vegetables, milk, wheat germ, brewer’s yeast, pumpkin, liver, and eggs. Salmon and mackerel are good sources of vitamin B12, and black-eyed peas, beans, and lentils provide folate. Vegetarians are at risk for vitamin B12 anemia because the vitamin is found only in animal products and fermented foods. Vegetarians need to include dairy products, eggs, and fermented foods, such as miso, tofu, and tempch, in their diet. Iron supplements and/or some vitamin supplements con provide excess iron that can be harmful.